Quill & Slate: Happy Birthday to Thelonia! 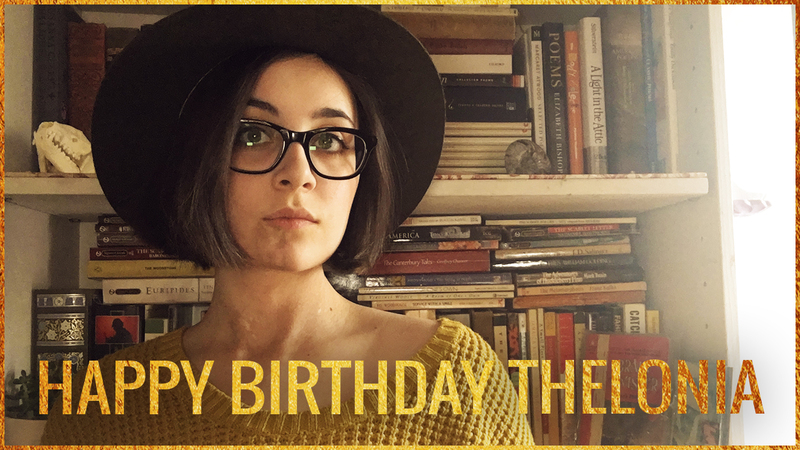 December 23 marks the 22nd birthday of Quill & Slate's very own Thelonia! If I asked for a better blog buddy, I'd be asking for the impossible. Thanks for always being a rad friend and for writing way more posts than I do. It's my dream to someday be as cool as you! Make sure to wish Thelonia a happy birthday!